The Kombi is part of the Transporter range that has been helping professionals since the 1950s and the latest generation, the T6, combines over 60 years of know-how to meet the needs of today’s business people. Voted International Van of the Year 2016 by industry experts, the Transporter range offers new safety features plus better convenience, comfort and economy. 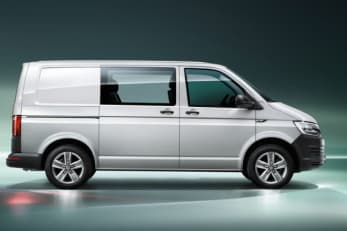 The Kombi’s cab and seats behind accommodate 5 plus there’s the option of a dual passenger seat if you need to fit 6 people in – which still gives you 1,600mm (length) load space behind in the short wheel base and up to 1,967mm in the long wheel base. 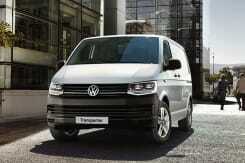 As with the Panel Van, the Transporter Kombi comes in 3 trim levels, Startline, Trendline and Highline. Standard equipment includes is designed to give you information at your fingertips and includes Bluetooth®, a new touch-screen display and DAB+ radio. There’s a USB port in the glovebox and the 5” touchscreen includes MP3 and CD compatibility. 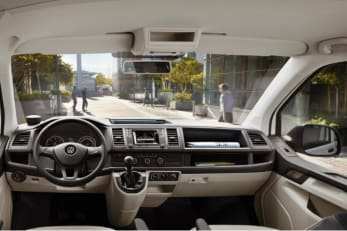 For safety, driver assistance systems include automatic post-collision braking, brake assist and Volkswagen’s driver alert system as standard. The Kombi offers a choice of new generation of 2.0 TDI and BiTDI diesel engines which adhere to the EU6 emissions standards, and range from 102 PS up to 204 PS. 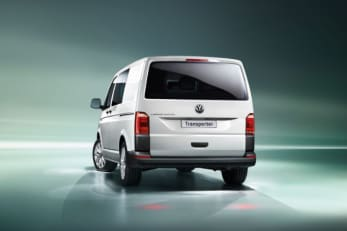 New Transporter Kombi engines use BlueMotion Technology which includes low rolling resistance tyres, Start/Stop and regenerative braking giving you fewer stops at the filling station.